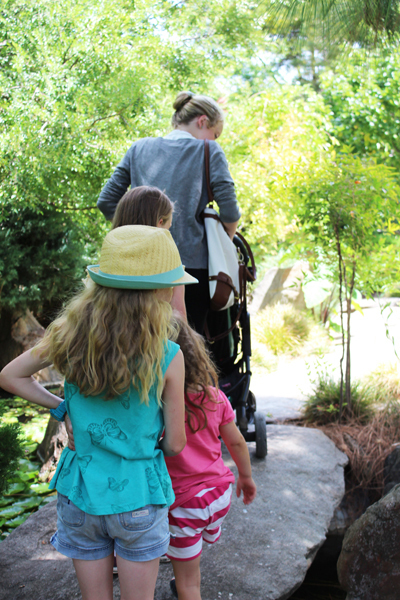 Some how a place of relaxation and contemplation doesn't sound like the ideal place to take a bunch of kids, but surprisingly the Adelaide-Himeji Garden is the type of place where people of all ages can wind down. 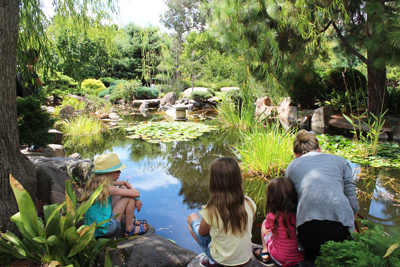 The garden was built to celebrate the relationship between Adelaide and it's sister city, Himeji in Japan. Featuring a 'senzui' (lake and mountain garden), and 'kare senzui' (dry garden), it is a peaceful place cut off from the busy city that surrounds it. So where do kids fit in? There may not be a playground, but the Adelaide-Himeji Garden is a nice place to take a walk around if you need a chance to cool off. 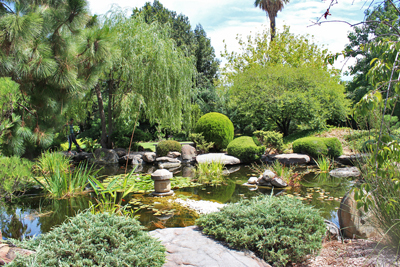 There are spots for picnics, and you're surrounded by the beautiful Japanese garden and the sounds of running water. There's a path that runs in a circle around the garden, but there's also a rocky bridge you can cross at one point, that will take you over the pond. The 'lake' in the middle of the garden is the main feature, and the most exciting part for kids. 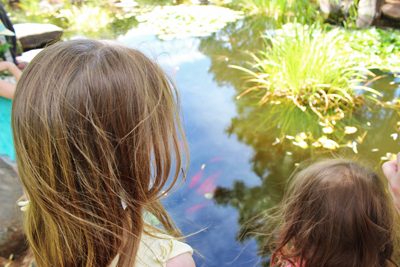 It's home to koi fish and even some turtles. You can perch yourselves on some of the rocks and point out the different fish, if you're lucky you might be able to spot one of the turtles as they come to the surface. If your kids learn Japanese it's also a great way to teach them a little bit more about Japan. 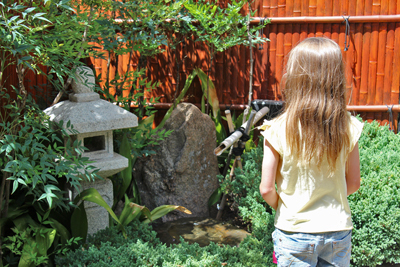 The 11-year-old loved looking for turtles in the pond the most, but the 8-year-old was actually interested in the sōzu water fountain. She's already learnt about it at school, and taught us all that it was traditionally used to scare away deer and other animals. If your kids are in a particularly bad mood, then a visit to the garden might not be quite right. People do come here to think, relax, and sometimes even meditate. Kids in a good mood can appreciate the beauty of the garden, kids in a bad mood might not be too happy about the lack of play things. 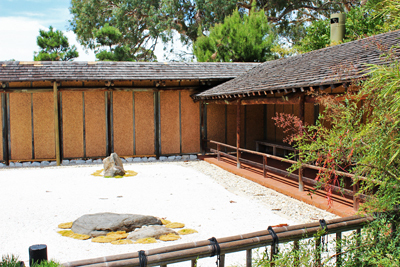 The Adelaide-Himeji Garden is in the Southern Parklands, by the intersection of South Terrace and Glen Osmond Road. If you are looking for a playground to visit as well, Marshmallow Playground is just across the road. Entry to the garden is free.